To develop the overall state of the state, the state government of Uttar Pradesh, under the rule of the BJP has been working hard to provide the needy students with monetary assistance. It has been done under the UP Scholarship Schemes. These schemes will provide the students, studying at different academic levels, with grants, which will lessen the burden from the shoulders of the parents. In this article, you will acquire information about the different kinds of scholarships that the state government is providing. But before that, we will provide you with the general eligibility, and application related information. For the residents of the state – All these scholarship schemes have been designed by the Social Welfare Department of UP, for serving the needs of the students based in the state. Thus, only those candidates who are legal residents of UP will be able to apply. Studying in registered schools/colleges/universities – It has been mentioned in the guidelines of all the government sponsored scholarship schemes that the candidates must be studying in a school/college/university that has the required recognition from the state and central governments. 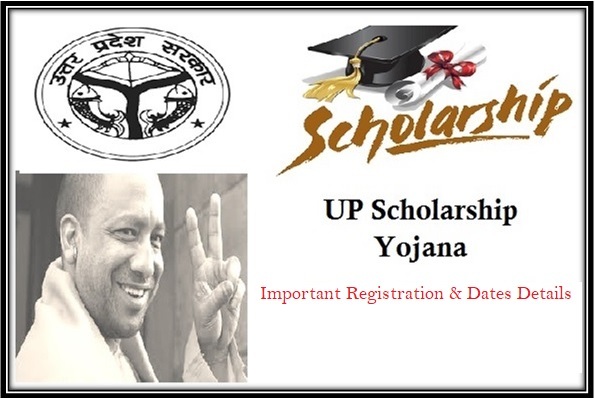 Cannot be beneficiary under any other scholarship scheme – If any candidate is getting the monetary assistance under any of the UP Scholarship Schemes, then he/she will not be allowed to get financial assistance under any other program. Income related eligibility – The schemes have been designed mainly for extending a helping hand to the poor and needy students of the state. Thus, each scheme has a specific yearly income related criteria. For the SCs, it is Rs.30000, for the STs, it is Rs.30000, for OBC candidates, it is Rs.30000, for the minority candidates, it is Rs.100000. The candidates belonging to the general category, living in villages must not have an annual income more than Rs.19884 and the limit is Rs.25546 in the urban areas. Mark sheet of 10th and 12th standard – The applicant will have to provide the mark sheet of 10th and 12th standard, depending on the scholarship scheme that the person is opting for. Certificate of annual income – As there are certain income related criteria that must be met by the applicants, a proper annual income certificate must be furnished with the application form. Residential certificate – As all the scholarship schemes will be open only for the students residing in the state of Uttar Pradesh, the candidates need to upload scanned copies of residential proof. Thus, the domicile and address proof documents are a must. Aadhar and Voter ID card – All the interested candidates also need to furnish their Aadhar Card and the authorized Voter ID Card. The photocopies of these two documents will help in checking the authentication of the data. Caste certificate – As the income range varies according to the caste of the candidate, he/she will also have to provide proper cast certificates for acquiring the monetary grants. Candidates’ Photographs – Apart from these, the candidates will have to provide pass port sized photographs. These photographs must be self-attested by the candidate and signed appropriately. Bank account details – As the state government will transfer the money directly into the bank account of the selected candidates, it is mandatory that the applicants upload scanned copies of their bank passbooks. All interested and eligible candidates have to click on the link http://scholarship.up.nic.in. It will give then access to the Homepage of the authorized scholarship website. As soon as the Homepage has opened, a particular tab needs to be clicked. The name of the tab is marked as “Student”. When this tab is clicked on, the drop down menu with two options will appear. They are “New Registration” and Login (after registration)”. If any interested candidate wants to apply for any of the scholarship schemes, then he/she will have to click on the Registration option. It is present for first timers. But candidates who have already applied can make use of the Login option. This will activate the side bar menu and the candidate will get the list of scholarship schemes that the state government is offering. If the candidate is applying for the first time then the “Fresh” option must be clicked on. In case the candidate has already applied in the previous years and want to continue receiving the benefits, then “Renewal” option must be clicked. For online application, the particular application form must be downloaded and all required details must be typed in. The scanned copies of documents and attested photographs must be uploaded. After typing in all required data and attaching documents, it is time to save and submit the application form. It has to be done online and offline as well. Once online submission has been completed, the form must be downloaded. After this, the print out must be taken and the hardcopy of the verification documents must be attached for manual submission. All the students, falling under the scheme will have to be pupils of class 1 to class 10. Under the scheme, the eligible and selected students will be given an annual or monthly financial aid from the state government. Students who are studying in the class 1 to 5 will be given a monthly grant of Rs. 25 which amounts to Rs. 300 on a yearly basis. The candidates who are studying in class 6 to class 8 will be provided with a monetary grant of Rs. 40 on a monthly basis. This adds up to a total of Rs. 480 annually. For the students of class 9 and 10, the annual grant amounts to Rs. 720. It means that the students will acquire Rs. 60 on a monthly basis. All the students who have taken admission in any of the 575 programs, which have been highlighted in scholarship scheme of Post – Matric level, must be studying in any of the registered academic institutes. These institutes must be enlisted in the Online Master Database. Under this scheme, the students of ST, SC, OBC, General and Minority communities, all must not have a family income of more than Rs. 2, 00,000 on a yearly basis. The rate of grant that the students will receive will differ on the basis of whether they are day scholars or have taken the hostel facilities as well. The grant for SC, ST, OBC, Minority and General day scholar students is Rs. 550, Rs. 530, Rs. 300, Rs. 230 respectively. The grant for the same hostel boarders is Rs. 1200, Rs. 820, Rs. 570, and Rs. 380, keeping the order of recipient caste the same as above. Under this scheme, the state government has a multitude of sub-schemes. The deserving students will be selected according to the grant scheme that the candidate has applied for. All candidates who have appeared for all national level entrance examinations, and have secured top spots, will be given with a money reward or grant, as per the guidelines of the scheme. The Talent Incentive Scheme, 1st Two Branch Toppers, UPTU Entrance Exams, UPSC, GMAT, GRE, IAS, GATE and such other candidates will be able to apply under this scholarship scheme. Under this scheme, there are many sub-schemes for extending financial assistance to as many 10th standard students as possible. To get the monetary grant, the candidate will have to clear the two stages of the program. All activities and selection of candidates under Stage 1 will be done by the SCERT during the month of November 2017. All the successful students will be permitted to sit for the Stage 2 exam and it will be held in the month of May, 2018. This stage exam will be conducted by NCERT. It is a special type of examination that is conducted by the respective departments. As per this scheme, the students who are very good in mathematics will be allowed to sit for the exam and the students who crack the exam will get the chance of taking part in the International Math Olympiad. Only 35 students, from 9th, 10th and 11th standard will be able to apply for the exam. The toppers will be rewarded with money. Under this scheme, all the students who have already successfully passed the final examination of 12th standard will be eligible to apply under the UPSTSE grant program. The Council of Science and Technology is responsible for conducting the exam and publishing the merit list. The announcement of this grant was done in the year 2016. A monetary award of Rs. 1 lakh will be handed over to the exam toppers. Sir Mai Shivani Vishnoi b.sc. 2nd year ki student Hu. Aur MERI scholarship abhi tak nhi aayi h.mera registration no 340800501700837 h.